By the end of May, 2016 "sanitation cutting" started in the Białowieża Forest. Trees attacked by the Spruce Bark Beetle pose a threat to important habitats and it is necessary to remove them, the Minister of the Environment claimed. The Spruce Bark Beetle is harmless for the Białowieża Forest and deadwood is essential for a natural forest; removal of deadwood will put the life of many species at risk, scientists argued. This meant that as regards the issue of the Białowieża Forest, the Ministry of the Environment put words into action. The protests of scientists and ecologists have not ceased. The Białowieża Forest is the last lowland forest in Europe that has primeval features and the only nature UNESCO World Heritage site in Poland. On 25 March, 2016, the Minister of the Environment, Mr Jan Szyszko, signed an annex to the Forest Management Plan for the Białowieża Forest District, in which the logging quota was raised threefold. As a result of the death of numerous trees, habitats are transforming. A Spruce Bark Beetle outbreak will cause a chain reaction, causing the death of not only spruces but also e.g. ashes, foresters point out. The structure of forest is changing: areas with low water level transform into grass communities and those with high water level are flooded. In both cases the habitats are destroyed and cannot regenerate without human intervention, the Ministry's webpage reads. The Białowieża Forest is man-made and is cultural heritage of the local population, and a testimony of the Polish school of forestry, which is a world leader in forestry, says Minister Szyszko. 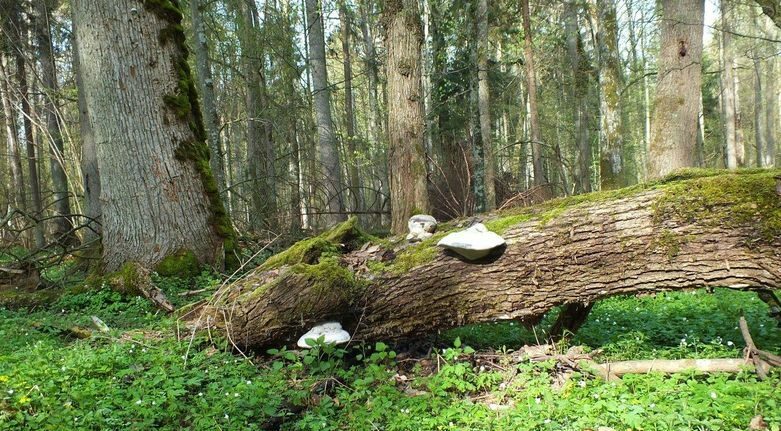 Scientists explain that deadwood is necessary in the Forest. Where deadwood is present, also the Three-toed Woodpecker, the White-backed Woodpecker and the Pygmy Owl breed. Deadwood is needed not only by birds; it is home to rodents, amphibians, beetles, fungi and numerous microorganisms. Cutting a section of old-growth stand of natural origin and planting young trees in its place will always cause a dramatic drop in the diversity of species, processes and structures. Organisms dependent on the presence of large and dying trees will lose their habitat. A diverse, "MMM" forest (multispecies, multilayer, multigenerational) will be replaced by a simplified, "OOO" forest (one layer, one age and often one species). Therefore, saving the diversity that is characteristic of a natural forest requires that its processes are not interfered with, as stated clearly in the article "Dispute over the future of the Białowieża Forest: myths and facts. A voice in the debate" (published in www.forestbiology.org) by Prof. Tomasz Wesołowski from the Wrocław University and scientists from institutions such as the Institute for Agricultural and Forest Environment PAS, Rzeszów University, Museum and Institute of the Polish Academy of Sciences in Warsaw, University of Silesia, Warsaw University and the Siedlce University of Natural Sciences and Humanities. Lawyers from ClientEarth, a non-profit organisation working on legal aspects of environmental protection, have warned that by signing the annex the Minister violated Article 6 of the Habitats Directive, since an assessment of the impact of the cutting on protected habitats and species was not performed while it is required by EU regulations. Opposition against the logging was also shown by 140,000 Polish citizens in a special petition to Prime Minister Beata Szydło. The Polish law does not allow the decision of the Minister to be appealed from. We did all we could to solve the issue of Białowieża Forest protection within Poland, without the mediation of foreign institutions, explained Robert Cyglicki, Director of Greenpeace Poland. To save the Białowieża Forest, seven ecological organisations: ClientEarth, Dzika Polska, Greenmind, Greenpeace, the Polish Society for the Protection of Birds, Pracownia na rzecz Wszystkich Istot and WWF filed a complaint to the European Commission and appealed for halting losses due to the planned extension of logging in the Forest. We want the decision to be cancelled. We expect that the Ministry of the Environment will take action to protect the Forest and its whole natural diversity. It is our duty for the next generations, stresses Jarosław Krogulec, the nature conservation officer in OTOP. On 16 June, 2016, the European Commission announced that it had launched legal proceedings against the Polish government following the signing of a document by Mr Szyszko that will allow extension of logging in the Białowieża Forest. The legal basis for the proceedings is potential violation of the Habitats and the Birds Directives.